Dresses are officially overrated: we happen to think that what every girl really needs is a Little Black Vest. 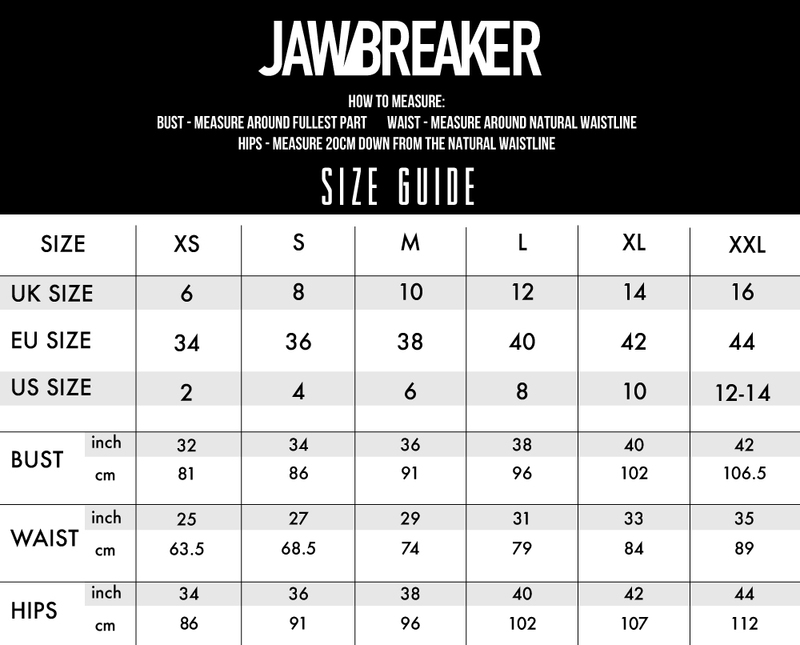 This Jawbreaker top has becomes our wardrobe’s staple piece. With a dipped hem and subtle front stitch detailing this contemporary piece is undeniably versatile. Keep it classy and pair with jeans and heels or add a choker and ripped shorts for classic Jawbreaker edge. Love the Style? Check out our Nasty Net Top!